Lauren had a mostly ordinary life from birth, born to two El-Aurian refugees who had settled on Earth, the reality of what happened to her species was always a factor but her parents had tried to prevent it from dominating life. To aid her integration among the humans and to avoid people looking at her strangely they had opted to give her a human name rather than an El-Aurian one. From an early age it was clear that she was incredibly intelligence and destined for great things in the future. This earned her both the admiration and scorn of her peers as well as the respect of her teachers. Her parents had wanted her to go for a career path involving less danger but from roughly age 10 she was committed to eventually joining Starfleet so that she could explore space but also defend the people and civilization that had taken her in and made her one of their own. By 2321 she had already signed up and with her grades combined with her performance during the tests managed to be accepted nearly instantly. While she could have gone for many tracks she felt that the Security path matched her personality the best and would be the one she would enjoy most as well. While adapting to the much more strict military nature of a Starfleet career was difficult at first she managed to adapt quickly. From that point onwards it also became a lot easier to interact with fellow cadets and slowly but steadily she felt truly at home at the Academy. By her fourth year she had risen to be among the top of her class and established friendships that would last lifetimes, by 2325 she graduated and was to be reassigned to the USS Ambassador to serve as a Security Officer. The first few years of her Starfleet career were mostly uneventful, the Federation was a galactic power at peace with only minor skirmishes here and there. This did not provide much potential for Security Officers to do anything beyond the basics that came with the job. This was until 2334 when the USS Ambassador came to the aid of a freighter under attack by an Orion ship. Despite several warning the Orions maintained their attacks and the Ambassador needed to intervene. After disabling the shields and engines a boarding party led by Lauren boarded the ship where they encountered more resistance than initially expected. Relying primarily on instinct and her training the team managed to defeat the Orion resistance with minimal fatalities on the Orion side and few casualties on either side. Afterwards the Orions were placed under arrest and Lauren was commended for her performance. For the next few years life returned to normal until the Border Wars against the Cardassian Union, which started just as she was reassigned to the USS independent and promoted to Lieutenant Commander. The Independent was one of the primary forces assigned to the Cardassian border and tasked with the protection of Federation colonies. This proved quite a challenge as the Cheyenne class often encountered strong Cardassian forces with very little in the way of back-up. More often than not rather than fighting in space she was ordered to reinforce forces on the ground under active Cardassian attack. This lasted until 2348 when due to a shortage in personnel she was given a field promotion to Commander and reassigned to the USS Salvation, another Ambassador Class, where she served as Executive Officer. Due to its greater power the Salvation engaged in several major battles against the Cardassians. When her Commanding Officer died in battle in 2350 she assumed command and was promoted shortly after to the full rank of Captain. For the next five years they would engage the Cardassians on and off but mostly patrolled the space between colonies to be able to intervene quickly when needed. Despite the wars being still ongoing Lauren was promoted to Commodore and reassigned to the Second Fleet where she served as the primary officer in charge of the defence of the Sol Sector. The final five years before her retirement were mostly served coordinating between the various departments of Starfleet active in the area, with limited to no threats to Earth at this time things took more of a bureaucratic turn than a proactive one. This was a major factor resulting in her later decision to retire in 2358, other factors were the desire to establish a family away from Starfleet. After retiring Lauren settled down in Antwerp and married Joe Griffin, a successful diplomat working for the Federation Diplomatic Corps. It was also this year that she became pregnant with their first child, Alice. Rather than outright retiring fully Lauren maintained links to Starfleet by acting as a consultant on matters relating to the Cardassians, something that unfortunately had become one of her specialties. In 2364 she became pregnant with their second child Michael. As things were deteriorating by the early 2370s her decision to retire began stinging more and more by the day. Especially after the Borg attacks and the Federation-Klingon War breaking out she had decided she needed to return. After talking things over with her husband and reaching out to some old contacts who had advanced well within the Chain of Command by that time she re-enlisted and was given her old rank while being placed in charge of the Special Operations Bureau of Starfleet Intelligence. Lauren did not get much time to get used to her new position, with all the threats Starfleet at large was facing one of the most difficult challenges in its existence. With the Klingon situation still not entirely under control and the Dominion threat hundreds of operations were launched under the authority of the Special Operations Bureau. This however did allow her to once again prove herself to Starfleet. As the Dominion War broke out Starfleet Intelligence got even greater support and resources which directly translated to more funding for the Special Operations Bureau, it was during this time that several operations were launched both in the Gamma Quadrant and within allied space to make sure the war would go to the advantage of the Federation. While Lauren had a lot of freedom in establishing the lines she made sure that the Bureau wouldn’t cross lines such as various other elements of the Intelligence Community did. While this was not appreciated by her superiors at first, that sentiment turned around as the war progressed and eventually seemed to be coming to a close. Just weeks before the war ended however she experienced a strong personal loss as her husband was killed during a Dominion attack on the ship carrying him back from negotiations with the Romulans. After the war Lauren remained in charge of the Special Operations Bureau however with the immediate need for a strong and proactive Intelligence gone the department became a lot less important when assigning budgets. Despite these limited means Lauren continued to maintain the Bureau as a capable force that could anticipate and address threats before they could pose a serious problem. 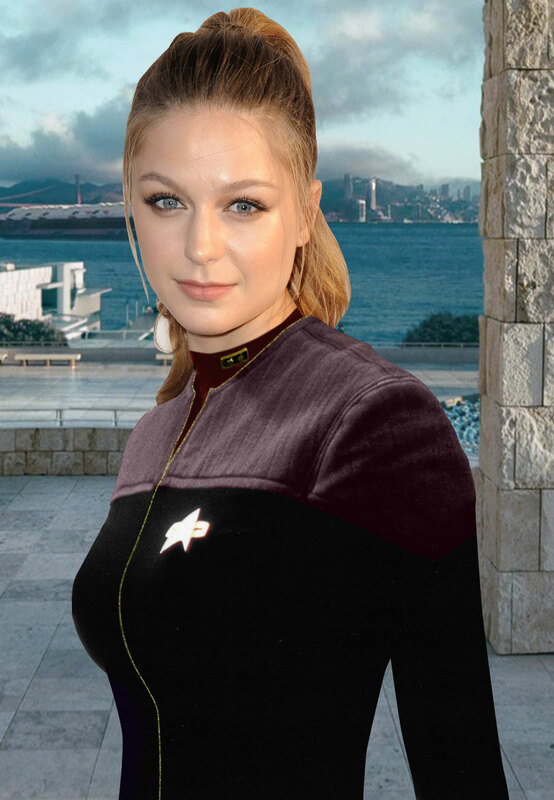 In 2383 her efforts got her promoted to the rank of Rear Admiral and made Assistant Director of Starfleet Intelligence while remaining in charge of the Special Operations Bureau. Lauren married Joe Griffin in 2358, upon her retirement. Before marriage the two had been in relations on and off for about three years. In 2358 she gave birth to Alice Griffin, Alice Griffin currently serves as a Captain, commanding the USS Scorpio. In 2364 she gave birth to Michael Griffin who is currently the Assistant Chief Engineering on the USS Black Hawk. Despite the long days and heavy workload Lauren always makes time for her family. While Lauren was not directly affected by the Borg destruction of her homeworld and forced exile of her species the consequences of these events nevertheless had a lasting impact on her development. Despite the best efforts of her parents to make sure she felt at home in the new environment she always realized there was something different. Like many in her species she is a great listener and has often managed to use that talent to her advantage.